No April Fool's joke this year. 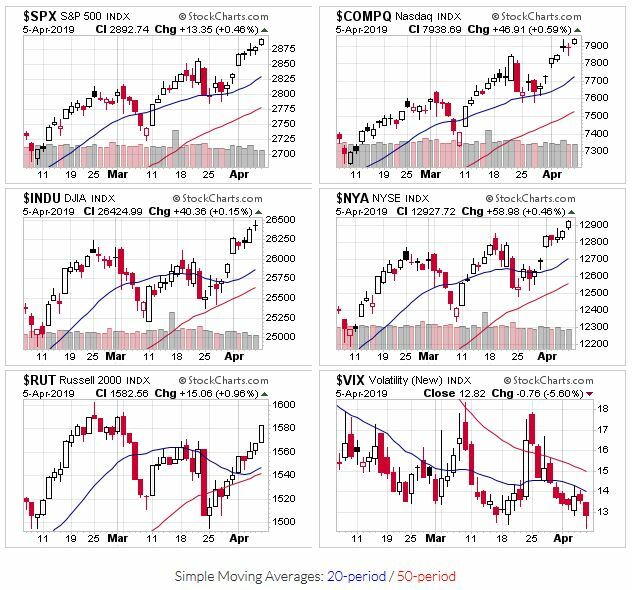 Market prices powered higher last week, leaving little reason to doubt new all time highs shortly. The ADX DI+ / DI- remains in bullish/uptrend territory. Price/volume shifts back to an uptrend. And the OEW group continues with their uptrend call. 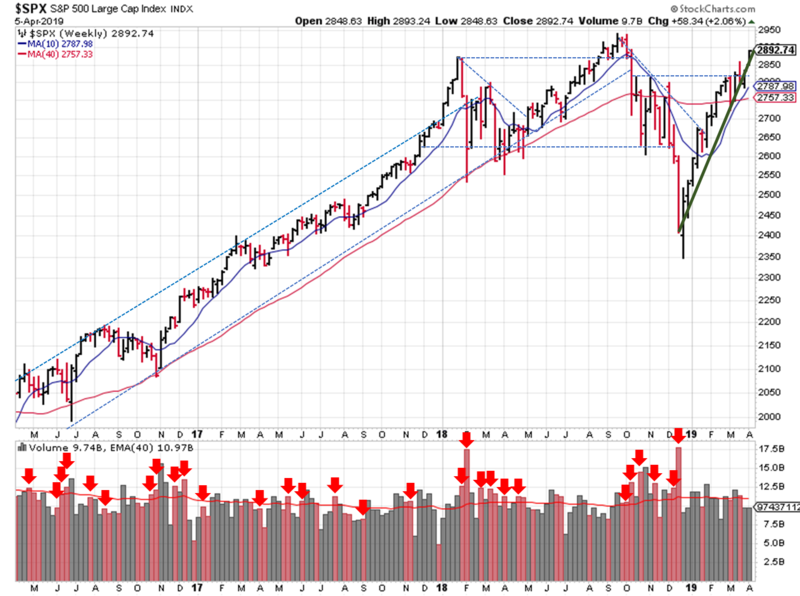 In the weekly view, the S&P's shows the late December uptrend remains intact. I also highlighted all the weeks of heavy selling, going back to mid-2016 (rather than just the last year). You can see a fairly even smattering of "distribution weeks" (if there is such a thing) throughout 2016 and the first half of 2017. Then, it switched to feast or famine; either the market sold off hard every other week, or there was very little selling to speak of. I haven't back-tested the performance impact from this observation. 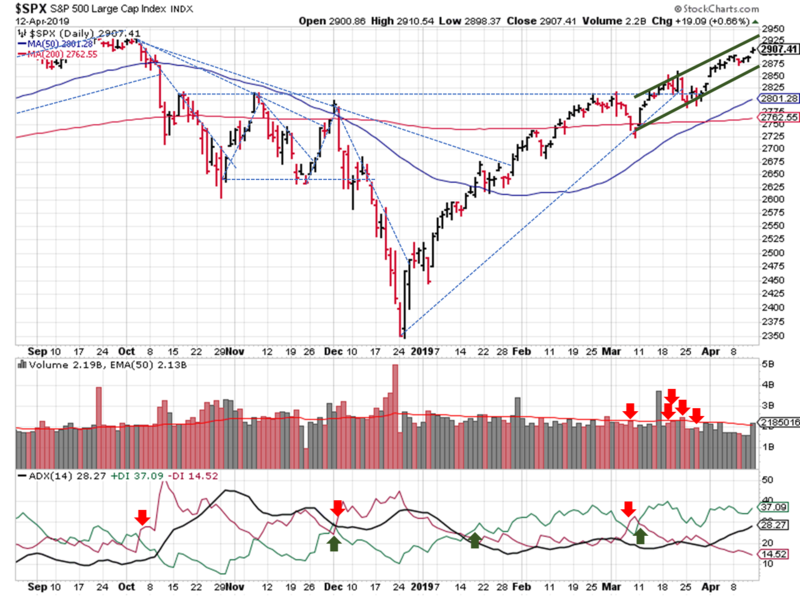 I just assume that a sell off now and then is health for market prices, and noticed the S&P hasn't had a "distribution week" since the market bottom 15 weeks ago.